Richard Crawshay, a Yorkshire man, was the first of that family to come to the Merthyr area. Having heard reports of the mineral wealth of South Wales, Richard leased the Cyfarthfa works from Anthony Bacon who had played a big part in the development of Merthyr Tydfil. Richard is said to have “wept for joy!” when in 1802 Lord Nelson, Commander of the British fleet, paid a surprise visit to Merthyr and stayed at the Star Inn. Richard died in 1810 and the works were to pass to his son William. Already consumed with the Indian trade and not time to run the works, William appointed his son, also named William II, to assume management. In 1825, Cyfarthfa Castle was built at a cost of £30,000. In 1847, William II retired and his son Richard Crawshay succeeded him and the works continued to flourish. Richard died in 1879 and his remains were buried at Vaynor Church, he was the last of the Crawshays to live at Cyfarthfa Castle. Courtesy of “The Story of Merthyr Tydfil” complied by Members of the Merthyr’s Teachers Association [NUT] 1932. William Crawshay II who took over the lease of Hirwaun Iron Works in 1818, installed his son Henry as manager of the works and he lived at Ty Mawr (big house). Henry became involved with a young girl from Penderyn, named Eliza Harris, who worked at the iron works. His father tried to end the affair but Henry married Eliza and they had a son named Henry who was christened at Penderyn Church in 1831. The young Henry died shortly after. 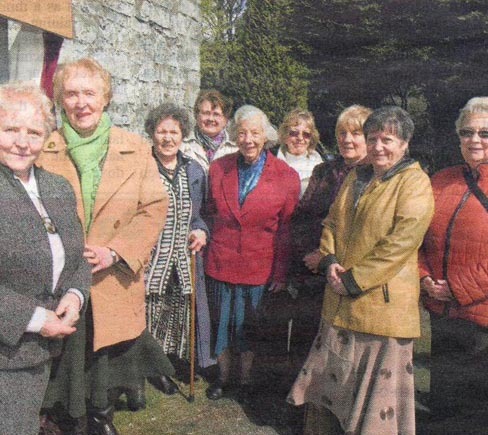 The couple went on to have twin daughters who were christened in Nebo Chapel in Hirwaun. Theirs proved a happy and enduring marriage. After leaving Hirwaun Iron Works, Henry went on to be a successful iron master and coal owner in the Forest of Dean, while Eliza emerged as a popular and competent mistress of her home. 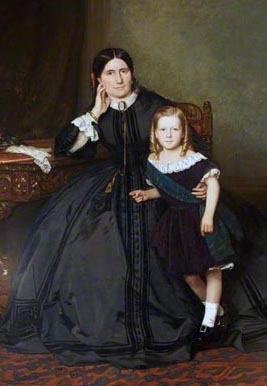 A portrait of Eliza Crawshay with her eldest son Edwin. It may seem a little strange to us now but the fashion of the time was for sons of wealthy people to be clothed in dresses for formal portraits. Edwin took over the running of the Forest of Dean enterprise on the death of his father Henry. William Crawshay II’s oldest son Francis, was sent to replace Henry in the iron works as part of William’s plan to separate Henry and Eliza. Francis Crawshay became a very popular master, learning Welsh and caring for his workforce. He even remained in Hirwaun during the cholera epidemic of 1849 to support his workers. He built a cottage away from the iron works named Tir Gwyn Bach (little white house) near the tramway, choosing to live there rather than Ty Mawr. Often eccentric, Francis also built himself a “folly” high on the mountain side with panoramic views over the Hirwaun works with the Penderyn foothills and Brecon Beacons in the distance. The following notes are copies from a newspaper article which appeared in an unknown paper dated 11th October, 1924, and passed on to the writer in December 2010, as a matter of interest. 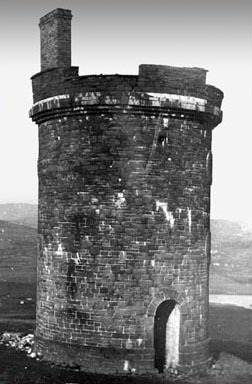 Following the discovery of a man’s body on the Hirwaun Mountain, there has been much inquiry as to who built the old Tower near which the body was found: as to the date of its erection, and as to who were the inhabitants, if there were any. Having taken keen interest in local tradition and history, the writer has been able to ascertain some facts connected herewith. It is hoped that these facts will make the old building interesting to the rising generation, and create further interest in old and interesting spots in the neighbourhood, which became prominent in the rime of Rhys ap Tewdwr, one of the Welsh Princes. The old Tower which may be seen above Duffryn Aberdare Colliery (more particularly known as the Tower Colliery) was built by Mr. Francis Crawshay in 1848. It is a round tower 30ft high and 58ft circumference. There was only one entrance, which was closed by an iron doorway. The Tower comprised three storeys, each storey providing a room. In the circular wall there were six windows and six round holes. The holes, probably intended for warfare, were erected as follows: Two facing north, two facing east, and two facing south. Inside the Tower, Crawshay kept two cannons, and it was here that the old Squire spent the summer months. Tradition has it that Crawshay had diverse purposes for his Tower. One specific purpose of the Tower was in case of war when it was Crawshays intention to hand it over to the Government as a means of fortification. When the Hirwaun Ironworks, owned and worked by the Crawhay family were stopped in 1858, the Tower was left uninhabited. During the previous ten years there was a caretaker there by the name of Mrs. Hannah Williams, and her son Mr. James Williams, resided there also. They were Hirwaunites, who carried provisions to the Tower on the backs of mules. The mules were laden with two baskets. Such as was the prevailing custom also in delivering coal. The tradition that a man remained for a time a prisoner in the Tower is quite authentic. 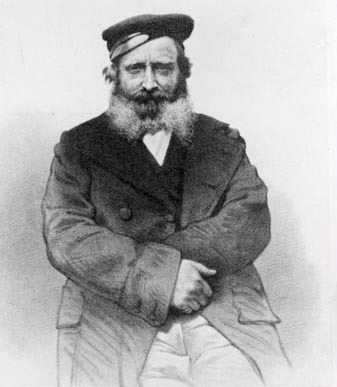 There was a wager made between Mr. Francis Crawshay and this man. He was not to wash, nor trim his hair, nor cut his nails and was not to leave the interior of the Tower. Such were the conditions laid down by Crawshay. The greater portion of the time specified by Mr. Crawshay was completed, but it cannot be ascertained definitely what period of time was really spent. The man who made the wager and who, by the way, was one of Mr. Crawshay’s workmen, was William Reynallt. He came to Hirwaun in search of work, and was employed by Mr. Crawshay in white washing premises attached to the Ironworks. This man Wiilliam Reynallt resided with the family of Mr. David Jones, who weighed the coal at the yard where Bodafan (the Old Post Office) now stands today, and descendants of his still live in Hirwaun and Rhigos. A few yards away from this spot where the Mardy victim was found there was a pistyll named Pistyllt I Twr. From this pistyllt all the water required for the purposes of the Tower were obtained, hence the name “Pistyllt y Twr”. There is a local family here in Hirwaun whose members recollect the old man in the Tower. Ty Mawr House, built 1784. Residence of the Ironmasters. Sited on the Old Iron Works and awared a Heritage Blue Plaque to commemorate this important industrial area. 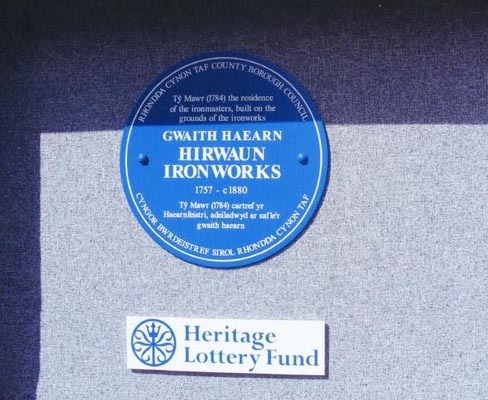 “The histroic site of the Hirwaun Ironworks as been commemorated with a Blue Plaque Award. The ironworks, which was founded in 1757, is the one of 30 sites being celebrated in the borough with the introduction of a major new Blue Plaque Heritage Trail to remember world-famous famous events, people, places, music and culture. 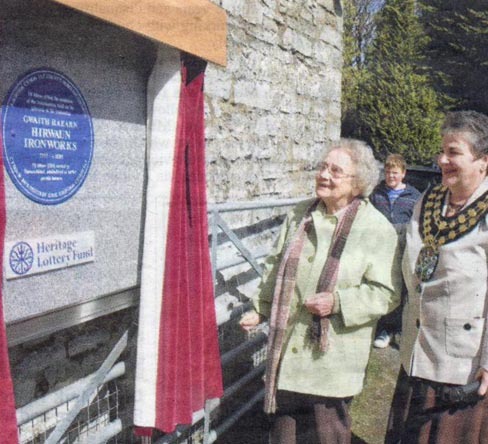 One of the Cynon Valley’s most respected local historians, Nansi Selwood assisted Mayor of Rhondda Cynon Taf Margaret Davies with the unveiling of the plaque at Ty Mawr, the old Ironmasters house at the time the Ironworks were in operation. 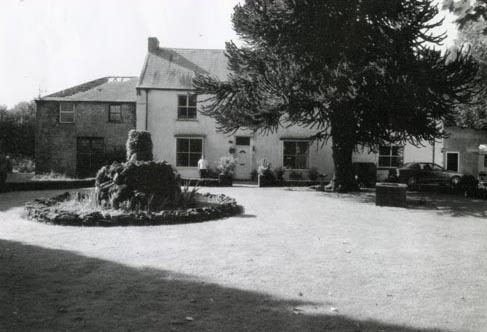 Mrs Selwood told the large crowd of supporters that with the exception of some farmhouses, this was the first house built in the village and was regarded as a “gentlemans residency” for the Crawshay family. The village of Hirwaun grew from the need to provide houses and services for the workers at the Hirwaun Ironworks that was founded by John Mayberry in 1757. The Ironworks had a chequered early history before being bought by the Crawshay family. During the Merthyr Rising of 1831 a red flag was raised at Hirwaun, apparently the first time this had occured in Britain. Despite these problems the period that the Ironworks were owned by the Crawshay family were the most prosperous in their history. For much of this time the Ironworks were managed by Francis Crawshay who lived at the house. The Ironworks themselves are recognised as a historic site by Cadw and Scheduled Ancient Monument Status. At the unveiling were members of the Hirwaun Historical Society and Hirwaun Community Council.